Preheat oven to 350°. Line 24 muffin cups with paper liners (or 36 mini muffin cups). Whisk together HERBALIFE F1 shake mix, flour, baking powder, baking soda, and salt in a medium bowl. Combine the milk, oil, and vanilla extract in a 2-cup measuring cup or a small bowl. In another bowl, with an electric mixer on medium speed, beat the butter and sugar until light and fluffy, about 3 minutes. Add the egg whites and reduce speed to low. Add the flour mixture alternately with the milk mixture in batches, beginning and ending with the flour mixture and beating just until blended. Fill liners 2/3 full and bake until a toothpick inserted in the center comes out clean, 15- 20 minutes for standard cupcakes, 11-13 minutes for mini cupcakes. Remove the cupcakes from the baking pan and allow to cool completely before adding icing. In a large bowl, beat together HERBALIFE Personalized Protein Powder, powdered sugar, butter, vanilla and milk until smooth. If necessary, add more milk until frosting is of spreading consistency. Mix everything well. Spread with a butter knife on cooled cupcakes. These are amazing! I added the self rising flour to help keep the cupcakes light and fluffy. 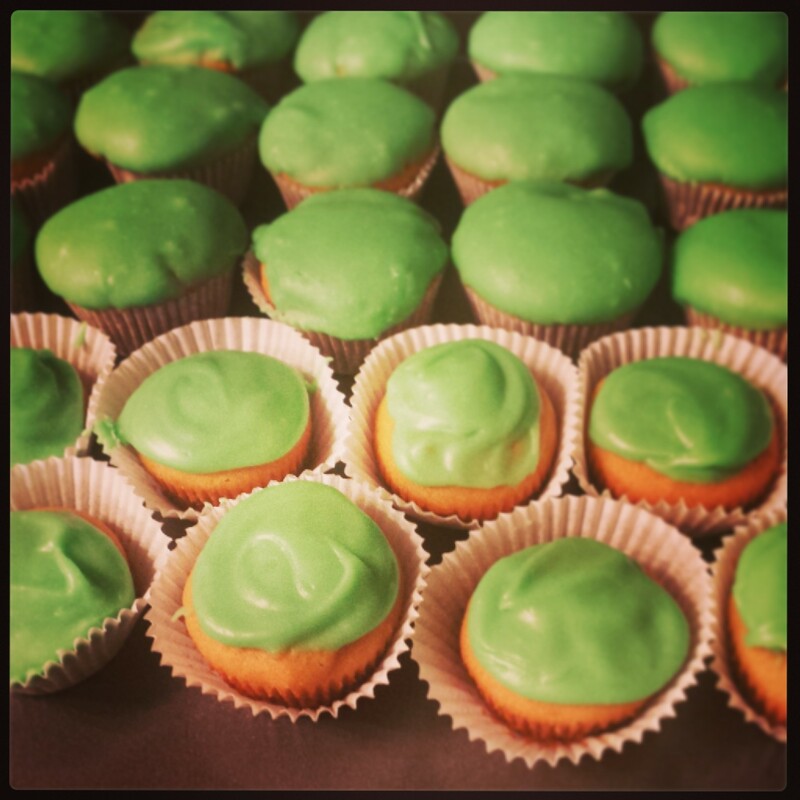 If you are on a weight management prgram, these cupcakes might still be too much of a treat. I made these cupcakes for my lil munchkin’s 5th birthday. She loves them and it is a much healthier option for ou little ones! Enjoy!